Choosing a watch for a woman, especially when looking out for quality, can be tasked in its own self. 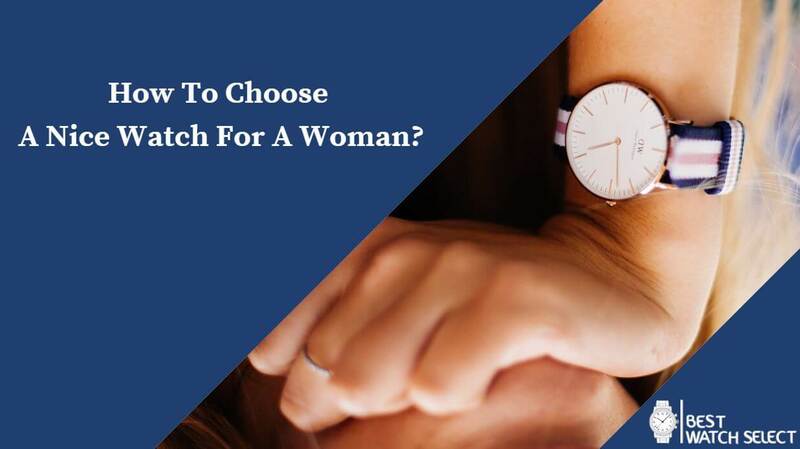 There are a variety of reasons why you may need to pick out a watch for a woman; either as a gift or just for yourself to revamp your style, however, there are a few things to look out for when selecting, which would be highlighted in this article. These important tips would help you narrow down your search, reduce the stress and pick the most suitable wristwatch for the wearer. It is important to consider the potential wearer of the wristwatch when selecting. Take into account her jewelry or accessory taste, or if she is even a fan of wristwatches, to begin with. If she is, what type of wristwatch does she fancy? What material, style, shape, strap style or gemstone does she prefer, or do you think she would like? The occasion you are getting the watch for is also important, as this would determine if you would get a sports watch, or a fashion watch, or a casual watch, or a dress watch. The answers to these questions would largely help your decision-making process. Putting into mind details such as age can also help in choosing the strap type, style, size, color, material and even the type of gemstone. For example, if you are getting the watch for a teenager, a bracelet strap is most appropriate, and the watch should preferably be in her favorite color. Commonly, there are two movement types for women’s watches which you need to pay due attention to quartz and mechanical. The quartz movement type is powered by a battery, requires less maintenance, it is less expensive and cost effective (if you’re working with a low budget), and is more reliable. With this movement type, you are only required to change the battery when it is weakened or on an average of 2-3 years, or the frequency stipulated by the manufacturer. The mechanical movement, on the other hand, is more exquisite and high-tech. It either comes in the manual or automatic winding. With manual winding, you would have to occasionally wind the watch to maintain its accuracy, while with automatic winding movement, you have to wear it more often and use a watch winder to ensure the watch is accurate. Ultimately, the Swiss movement is still considered the best. Selecting the style and shape for a watch is extremely important. The most popular shape is the circular one, but there exist watches in different other shapes like square, rectangles, triangles, and even a combination of two shapes – the watch could have an inner triangle and an outer circle. A variety of watch styles are also available; sporty look, elegant style or casual watch style. An ideal sporty watch would be made from stainless steel and would have a rubber strap. An elegant watch style can be worn on any dress and is ideally a gold-plated watch. Again, the wearer has to be considered here, because a watch should typically complement the skin tone of the wearer. Stainless steel is a popular watch material in the market and would look best on a woman with a cool skin tone, white gold or silver. For warm-skinned women, gold wristwatches are preferable. Sports watches should also match the wearer’s skin tone, and preferably, be rubber wristwatches. Suggestively, black rubber sports wristwatches would match any sportswear. Typically, the size of the dial should not be too big, neither should it be too small for her wrist size. A dial diameter of between 28mm-38mm is appropriate, and quite narrowly, most women prefer dial sizes of between 34mm-38mm. Here also, the wearer is considered. Crystals cover the casing of the watch, and three types of crystals are known: Sapphire Crystals, Plexiglas (or plastic) and Minerals. Sapphire crystals are the best. Plastic casings are cheaper and are prone to scratches and breakage. Sapphire and minerals, on the other hand, are scratch-resistant and do not easily break. Sapphire crystal, however, is considered to be the best of the three. Concerning gemstones, diamond gemstones are one of the most expensive and are suitable for a high-end classy lady. The strap of the watch is also something to look out for. A bracelet strap is more suitable for a teenage girl, or fun and young woman. Leather straps, however, are stylish, classy and elegant, and the color and/or elements in your outfit should match the leather strap. To select a long-lasting watch, rubber straps are your best bet. They could also double as a sports watch, as they don’t get easily damaged and are super easy to keep clean. 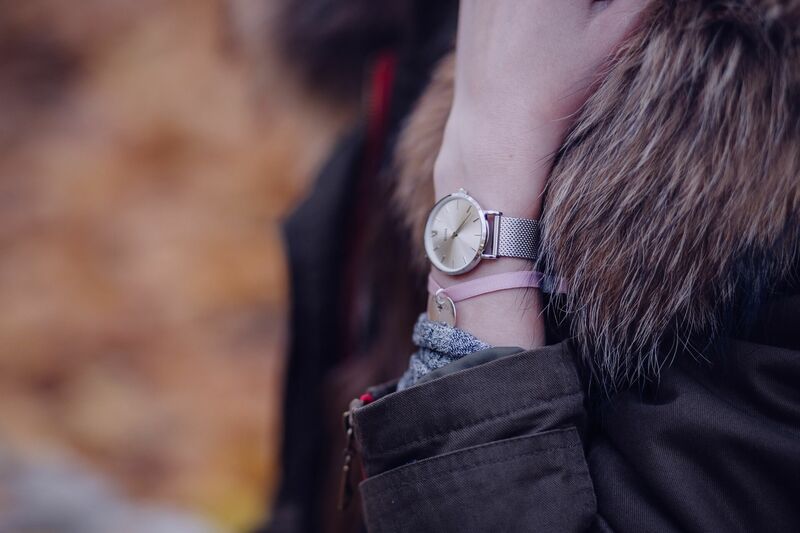 Since women are generally picky and have various straps, a watch with an interchangeable strap is the safest option. Remember, the strap should match the skin tone of the wearer. Selecting the type of brand is also important because shopping a brand would help avoid fake products of that brand that have almost dominated the market. Famous wristwatch brands include Rolex, Cartier, Longines, Seiko, Tank, Omega, Bulgari, Pash, to mention a few. These watches are available at prices that suit your personal budget. Remember: Before you budget for a woman watch. 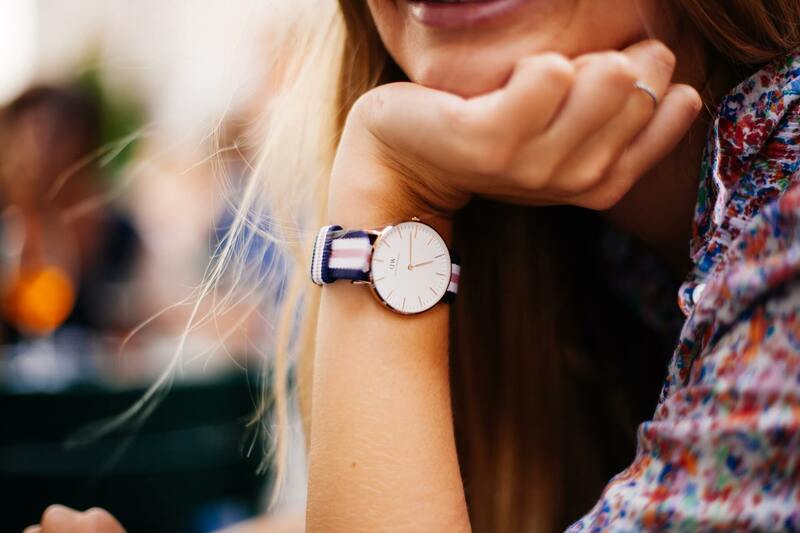 There are many factors to be considered when picking a watch for a woman but the ultimate factor is the wearer themselves. With the wearer in mind, it is easier to conclude on other factors to select the best watch. If unsure of the taste of the wearer, it is advised to stick to the basic watch style and types. Do not forget to get watch cases or watch boxes for your gift, as this adds elegance to the gift, and helps protect it. She can also use the boxes, subsequently, to store wristwatches in the future.